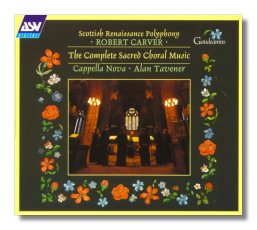 Robert Carver (c.1485-c.1570) was perhaps the greatest of Scottish composers, and one of the most dynamic of early Renaissance British composers. Carver was apparently associated with the Royal Chapel of Scotland, as well as with the famous Scone Abbey. He is best known for his sacred choral music, of which there are five surviving masses and two surviving motets.